Apple cider vinegar is a very common home remedy for a wide variety of everyday health problems, ranging from acid reflux to acne. In this article, we will focus on the weight loss properties of apple cider vinegar — how this sour liquid can help you drop those unwanted pounds effectively. Make sure that you repost this article on social media most especially if you have family and friends who are planning on using apple cider vinegar to slim down! Are you blaming your insatiable appetite for your inability to attain weight reduction? Then you may count on apple cider vinegar because it is scientifically-proven to help fend off hunger and cravings. Experts say that what makes apple cider vinegar effective at suppressing the appetite is its acetic acid content, something that has a favorable effect on the levels of blood sugar (more on this later). Each time you feel like stuffing your face and you are not really sure if it’s hunger or just boredom, you may count on apple cider vinegar. The best time to take apple cider vinegar for curbing the appetite is when your stomach is completely empty — about 30 to 60 minutes before you consume something. One of the culprits behind hunger pangs is sever fluctuations in the levels of your blood sugar. Anyone who is trying to slim down should keep his or her blood sugar from plummeting. Otherwise, it could lead to disastrous results which entail the person consuming anything and everything that he or she sees! Taking apple cider vinegar helps prevent the levels of sugar in the blood from going to the extremes. By fending off severely low sugar, weight reduction is made simpler. It’s exactly for this reason why the addition of apple cider vinegar to the diet is particularly advantageous for anyone who is suffering from diabetes or prediabetes — it is an effective regulator of the blood sugar levels, allowing for the prevention of many different complications such as nerve damage and leg amputations. According to a Japanese study conducted on animals, the administration of apple cider vinegar helped increase a special type of enzyme that is capable of enhancing metabolism of fat cells. Many people who are having a hard time attaining their ideal weight often put the blame on a sluggish metabolic rate — it’s something that can keep the body from converting fat into fuel that can be used by the cells as energy. As a result, they may have to do more cardio and pump heavier iron just to see dramatic results. 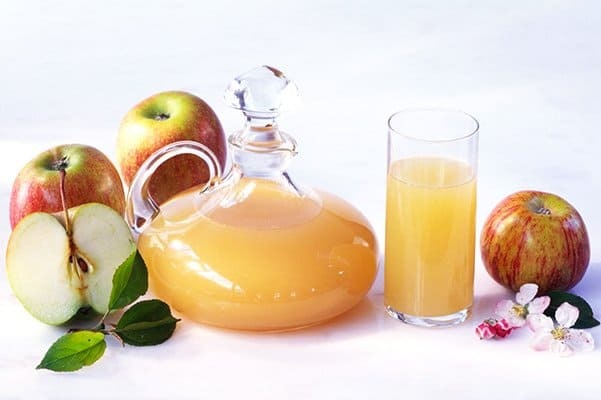 Experts say that consuming apple cider vinegar with meals may encourage a more effective utilization of fat, thus making it so much easier for someone to slim down. Everyone can agree that it’s fat in the abdominal area that can be extremely challenging to get rid of. It’s for this reason why so many people end up having a liposuction or tummy tuck because they are already frustrated of the fact that their midsection remains flabby despite of giving their best at the gym. According to studies, apple cider vinegar is actually capable of zapping fatty cells that are situated in the stomach area, thus facilitating the attainment of a smaller waistline.